We are the Materials and Interface NanoTechnology Laboratory at the University of Maryland. The research group is led by Prof. Oded Rabin of the Dept. of Materials Science and Engineering and the Institute for Research in Electronics and Applied Physics. Our mission is to understand and exploit interactions between inorganic nanoscale objects and their chemical and physical environment. Our efforts involve chemical synthesis, materials characterization, and proof-of-principle devices fabrication. The Materials and Interface NanoTechnology Laboratory conducts research in a wide variety of topics related to nanoscience and nanotechnology. Our central goal is to explore the new physics that emerges from shrinking the dimensions of materials to the nanoscale, and to identify the significance of the new science for an array of applied fields such as sensing, energy, and biomedicine. Enhancement of performance of metallic wires by carbon nanostructures. Fabrication of 3D plasmonic nanostructures for chiroptical studies. Second Harmonic Generation (SHG) from plasmonic nanostructures. The transverse Seebeck effect and heat-flux sensing. Sensing microbial growth in biofuel storage tanks. Remote chemical sensing with optic fiber SERS (Raman) technology. Directed self-assembly of silver nanocubes for SERS (Raman) sensing. Bulk nanostructures as improved thermoelectric materials. Prof. Wuttig (MSE) Accustrata Inc.
Nanocarbon Metal Composites: The art of mixing carbon with metals is one of the triumphs of the field of Materials Science. Carbon in metal matrices creates defects, alloys and multiphase structures - all leading to materials with superior performance (e.g. steel). Our work focuses on non-equilibrium carbon-aluminum mixtures and other low-melting-temperature alloys, with high carbon-loading and significant sp2 (graphitic) character. Our investigations focus on the processing – structure – properties relationship in these systems, aiming to improve the electrical and thermal transport properties. For more information, visit the AMO Program in Covetic Nanomaterials. Nonlinear Plasmonics: Plasmonic nanostructures may display resonant nonlinear optical response. Upon resonance excitation, localized surface plasmons generate strong near-fields, as well as large field gradients, in the dielectric material surrounding the plasmonic material. This evanescent field is typically one order of magnitude larger than the excitation (far-field) and can be several orders of magnitude larger in the vicinity of sharp corners. Two pathways are envisioned for resonant nonlinear effects: (i) coupling between localized surface plasmon modes on the same or on adjacent nanostructures, and (ii) interaction between the resonant near-field and optically active molecules or crystals adjacent to the plasmonic nanostructure. Resonant nonlinear processes have the potential of being both high in yield and highly localized. Using nanoscale lithographic patterning, we have demonstrated significant control over the frequencies of the plasmon resonances of metasurfaces. Our metasurface designs result in significant enhancement of the second harmonic generation from these films, up to levels competitive with traditional nonlinear optics crystals. I study the self-assembly in block-copolymers to control nanoscale morphologies. I seek to develop potent and reliable SERS substrates made of ordered arrays of plasmonic nanoparticles. My research is focused on the field of plasmonics, an area which takes advantage of the unique interactions between light and materials at the nanoscale. 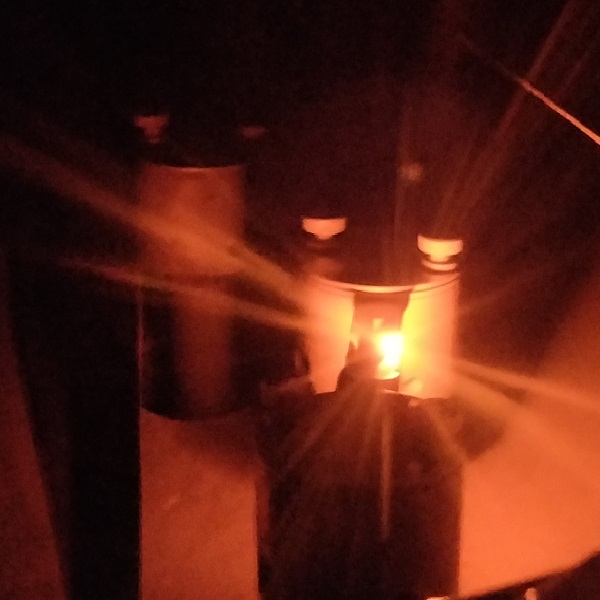 Specifically, I am working on using plasmonic enhancements to improve chiral molecular spectroscopy techniques. I am using theoretical techniques to model the thermoelectric properties of nanowires. By modeling these properties as a function of doping level, growth direction, etc. we can learn how to optimize the thermoelectric figure of merit in future experiments. Experimentally, I am utilizing our combined PLD + Thermal Deposition vacuum system to generate interesting thermoelectric nanostructures. My research interest covers the synthesis of nanoparticles and its applications. I focus on the synthesis of silver nanocubes (AgNCs) via the polyol process and their use in surface enhanced Raman spectroscopy (SERS). I am investigating the relation between the structure of clusters of AgNCs and the resulting enhancement in Raman scattering. The study will identify effective ways to prepare SERS substrates for high sensitivity chemical sensing. I am working on applications of thin films of porous aluminum oxide in microfluidic devices. These films offer a highly organized geometry of hexagonal pores that have the potential for a number of applications, including: nano-filtering, templates for nano-pillars, and combinatorial synthesis. This page was last modified on July 2, 2013.